Most students wouldn’t be excited about attending classes on the first official day of summer break, but one group of NIU students couldn’t wait. Of course, it didn’t hurt that class convened in San Francisco. 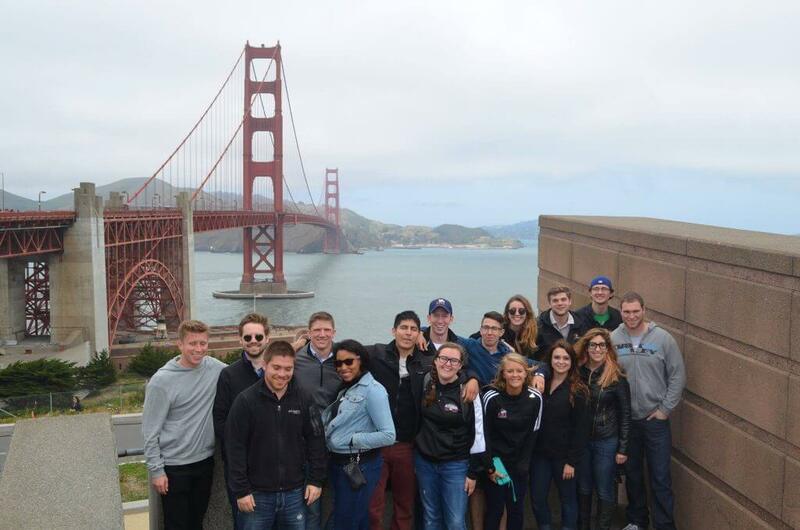 The 16 students from the NIU College of Business, most of them part of NIU’s nationally ranked Professional Sales Program, are spending the week in the City By the Bay. There they will learn about the unique business world of Silicon Valley and the opportunities it offers. The Golden Gate Bride in San Francisco obligingly poses with students from the NIU College of Business. They spent Sunday sightseeing. Click the image above for more photos. 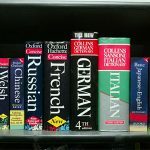 The program, which is actually a three-credit course compressed into one week. It is a follow up to a similar class last December when a group of students traveled by bus to St. Louis and Indianapolis to learn about job opportunities there. The class will also give students insights into the importance of networking. At every business they will visit, they got a foot in the door thanks to a direct connection to a student or faculty member on the trip. Students are required to research each of the companies and the individuals they will meet with, just as if they were making a sales call. The students were responsible for their own travel arrangements to get to San Francisco and will spend the week staying at the San Francisco International Hostel. Monday – After visiting Alcatraz Island students will get a behind the scenes tour of AT&T Park, home to the defending World Series Champion San Francisco Giants and meet with marketing executives to learn about cultivating customer relationships through good times and bad. Tuesday – The day begins with the chief operating officer and the director of human resources for McKesson Pharmaceutical – a Fortune 10 company. Students also will meet with Lisa Vicicondi, a sales manager for the company who was recently named the Outstanding Young Alumnus by the NIU College of Business. Later it’s on to SalesForce.com to learn about life at a dot.com, followed by a reception at ClearSlide. Wednesday – Much of this day will be spent learning about life at a start-up as students meet with the management team of Marketo, a maker of sales management software. Dinner will be an authentic Chinese feast in China Town. Thursday – Students will get a glimpse into the world of high finance in Silicon Valley when they meet with executives of Andreesen Horowitz, a $4 billion venture capitalism firm that has helped launch Facebook, Twitter and Groupon. Later in the day they will visit a high-tech company incubator and the offices of Lyft – an up-and-coming competitor to Uber. Friday – Much of the final day will be spent at the offices of software giant Adobe, including a cook out at the home of an Adobe executive to conclude the week. The trip is being led by Peterson and his fellow Professional Sales Program faculty member Chuck Howlett. Students from the class are chronicling the trip on the program’s Facebook page. Thumbnail biolgraphies for most of the students can be found here.